You need a waterline treatment that works. 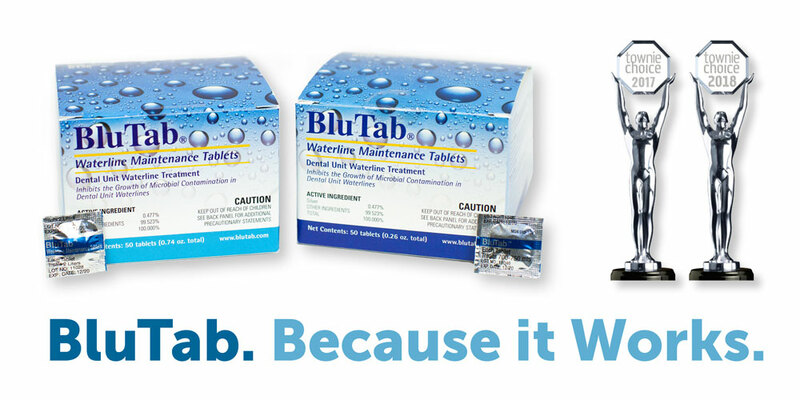 Well, BluTab is one of the most effective waterline maintenance treatments available. Fill out the form to the right to receive one month's supply of BluTab for one of your operatories and we'll send you ProEdge's proven 3 Steps to Safe Water Protocol so your team knows how to achieve waterline safety in every line, every day. *Cited in “Treating & Monitoring Dental Water”, Compendium of Continuing Education in Dentistry, by Nancy Dewhirst, RDH, BS & John A. Molinari, PhD. Data collected from 22,196 consecutive waterline tests (R2A, heterotrophic plate count tests) conducted in 2017 by ProEdge Dental Water Labs. All product types provided by dental offices. Averages may not reflect your test results. All Pass/Fail measured against CDC’s ≤500 CFU/ml standard.